Well, it seems like last week it came down to two stories: Story One and Story Four. To tell the truth, the correct story was number one. Pirates of the Caribbean was not an opening day attraction and the Walt Disney World Railroad tracks were already in place when it was added. The actual reason that the Pirates of the Caribbean plunge was placed in its location was to move guests and boats below the railroad tracks. The majority of the ride takes place in a building backstage, beyond the tracks. 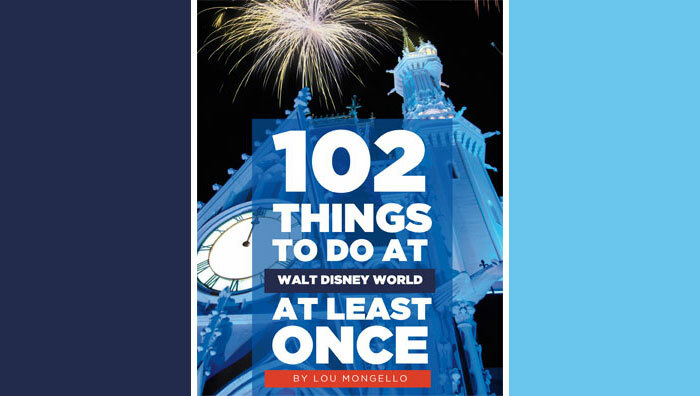 This can be verified in Lou Mongello’s Adventureland Audio Guide and is one of the many tidbits told on the famous Keys to the Kingdom Tour. You may even have noticed the incline at the end of the ride, which returns you to your original starting position! Since Jenn/Disney Geek Jenn answered both previous questions correctly (but under different names) and again was correct this week, she moves into the lead with three questions answered correctly. This week’s topic is the size of the windows lining Main Street, U.S.A. Not the second floor windows with the names on them but the lower ones. We have all strolled down Main Street looking into the stores and restaurants. What is the reason that the windows along Main Street, U.S.A. are so close to the ground? Forced perspective is common throughout Walt Disney World Property. Cinderella Castle has elements of it in it along with most of the buildings down Main Street. Forced perspective is when the lower parts of buildings are actually larger than the tops, with each floor diminishing in size, making the building seem MUCH taller than it actually is. In order to achieve forced perspective along Main Street, the windows were elongated and had to be moved closer to the ground. The result of forced perspective along Main Street, U.S.A. is that the street appears much longer than it actually is. This also explains why the windows are larger than average windows you can find on a house today. We all know that the shops along Main Street can get very crowded. The Imagineers at Disney World always look for the most creative ways to keep even large crowds comfortable. When it came to the design of Main Street, U.S.A., Imagineers thought that the use of natural sunlight would enhance a guest’s experience. To accommodate this, the windows were enlarged to allow as much sunlight as possible inside the buildings. As an added benefit, it also allowed guests to see what was happening along Main Street. Walt Disney cared about families. Children are a big part of Walt Disney World. The windows along Main Street, U.S.A. were placed low so that even the youngest of dreamers could see inside without having to ask their mom or dad to prop them up on their shoulders. Sometimes statues of characters can be found in window displays, and the Disney Company wanted to make sure that children saw them. It adds to the magical experience for the young ones and is just a small detail that makes a big difference. If you know Main Street well, you know that it is modeled after a small town from Walt Disney’s childhood around the turn-of-the-century. Electricity was just starting to shape the nation. Before electric light, natural rays of sun were used as a light source. Most houses in this time period had gigantic windows so that large amounts of sunlight could be let in at one time. Electricity had only been around for a relatively short period of time, so all of the buildings hadn’t upgraded to the smaller, higher windows that we are accustomed to today. Having large, low windows was period correct and could be found in any storefront during this era. Okay, Disney fans, which one of these stories is the real reason that the windows lining Main Street U.S.A. are so low to the ground? Let me know which you think is correct (or if you prefer, which ones are not) below. Remember, I’m keeping score if you’re the competitive type! Makena is a 14 year old high school student who spends much of her free time researching Disney. She enjoys sharing Disney facts and even plans Walt Disney World vacations (including searches for secrets and Hidden Mickeys) for friends and family. 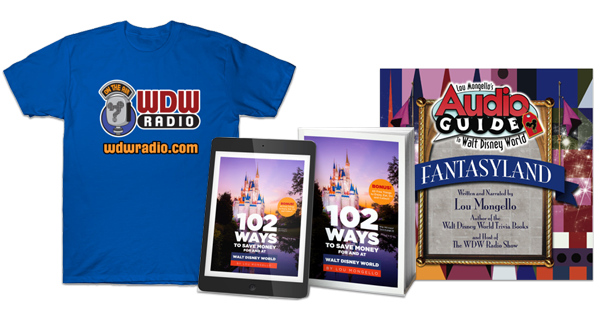 Makena began blogging for WDW Radio in December 2011. Story number 3 is correct! I have read that in many places including Lou’s trivia book! Story number 3! I have read and seen that many places including Lou’s trivia book! I love all of the versions this week, but I believe that the story #3 is correct. I am almost positive I have heard Lou talking about this in a podcast show, but I can even picture my daughter looking in the windows as a small child, and she’s really tiny for her age. It Walt decides to build a park in order for families to enjoy together, I do not think he would ignore the smallest members of those families by limiting what they can see. I’m going with story one is correct…force perspective seems to be the most likely answer. Walt has every member of the family in mind. So, it’s gotta be Story #3. #1 forced perspective is the reason for the windows being so low to the ground on Main Street USA. #1 is correct, but the last option tied in a bit I’m sure. I’m going to have to say story 1! Gotta love that forced perspective! Story 3 is the right one. Story number 3. Everyone’s a dreamer! Without a doubt – story #3. Story number three – no doubt about it. And as a little girl visiting Disneyland in the 1960s, I appreciated it!!! Great stories, but number three is the correct one! Story 3! The buildings get smaller as they go up for forced perspective but the windows are low for kids! And at WDW we are all kids! I have to go with #3 also.